Launch the next hot startup, lead a cause, get into your dream graduate school or be a leader in your current career. Whatever your plans, Guilford has a program for you. What’s more, with real-world experiences like internships, cutting-edge research and study abroad opportunities, you will hit the job market with a résumé already packed with accomplishments. Learn how to apply, including what documents you need to submit. From the application process to credit evaluation, we have your transfer needs covered. With our flexible schedules, you can be a full-time student while attending as few as two nights a week. Guilford awards up to 16 credits for military experience. We offer focused programs of study in Chemistry, Forensic Science, Interpersonal Communication and Organizational Communication. Start a new career or advance your current one in a program designed to meet your busy schedule. Students who already have a Bachelor's degree can enter from one of our career-advancing post-baccalaureate programs. That's right, your tuition will never increase at Guilford. So you can focus on learning, not finances, and you can build a financial plan with confidence. Choose from 40-plus majors and 50-plus minors or create your own path to success through our Interdisciplinary Studies program. Our students are future writers, doctors and entrepreneurs. They're also great tour guides! See for yourself by scheduling a visit to Guilford. From internship search tools to tips on nailing a job interview, your career journey starts at Guilford.  Congratulations on being admitted to Guilford! Here’s what you do next. In a recent survey, 92% of the class of 2020 said they made the right decision to attend Guilford. That's the percentage of Guilford students employed or in graduate school within their first year after graduating. That’s 15 percent higher than the national average. Through Guilford’s renowned study abroad program, you can live and learn in a 13th-century castle high in the Italian Alps. They heat more than 9,000 gallons of water daily for our residence halls, cafeteria and Physical Education Plant. Students may submit scores by taking a screenshot or scanning a copy of their score report and emailing it to the appropriate Admission personnel. The College also accepts test scores directly from students’ high school counselors. 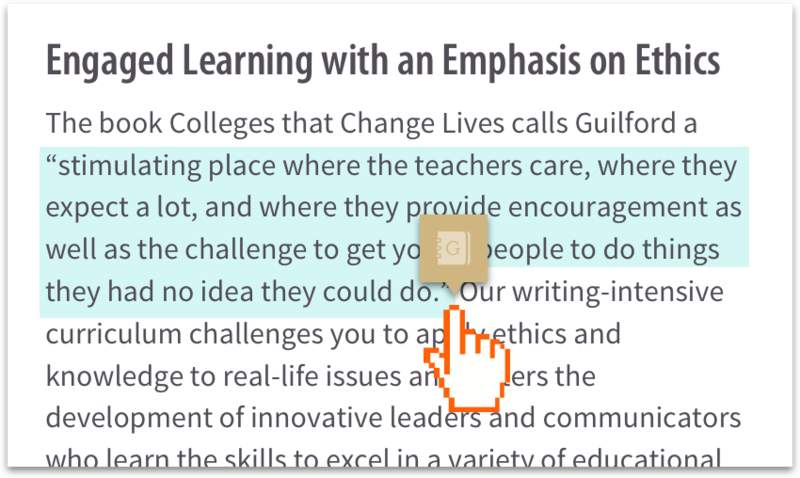 This allows students to submit their scores to Guilford without using the official College Board or ACT score report submission process, which can require a fee. "Allowing unofficial test scores makes it possible for students who are not able to obtain official copies of their SAT or ACT score reports to complete their Guilford College application," says Kyle Wooden '11, Director of Admission. "Thus, students will hear back from us sooner with their admission decision and potential scholarship opportunities." Your goals are too important to let money stand in the way. That’s why Guilford awards more than $23,000 in financial aid on average to our students. From scholarships that recognize your commitment to community service and academic excellence to grants that recognize your need for assistance, we offer numerous options to finance your education. In addition, you'll be assigned a financial aid counselor who will help you bridge the gap between college costs and your ability to pay. You have goals, and we want to be sure that you have all the necessary tools to meet them. Our financial aid packages will put an education at Guilford well within your reach. Guilford scholarships, which range from $5,000 to $20,000 annually, are one way we keep your education affordable. From forms to deadlines, we have everything you need to get started on financing your education. Our friendly team of admission counselors are available to answer your questions. Guilford's faculty and staff take a collaborative approach to advising every student every step of the way — from your admission to graduation, and beyond. 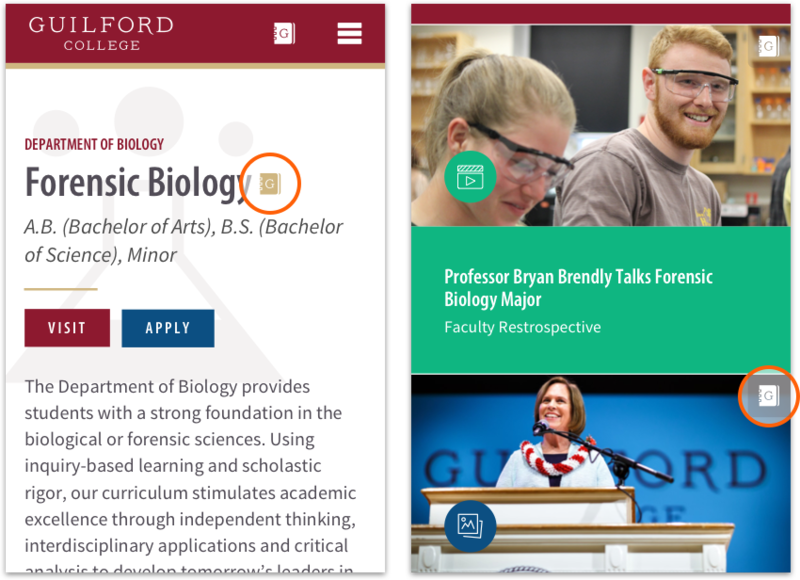 Contact the admission team and get your first look at Guilford's personalized, hands-on approach to your education. Are ACT and/SAT scores required for admission? Guilford is a test-optional school. If you like, you can submit test scores from either exam. If not, then you must mark the test-optional box on the Common Application and submit two additional writing samples for review. Learn more. You can apply early decision (binding), early action (non-binding) or regular decision. See details on the Apply page. How do you make your admission decisions? For first-year students, we consider all information available to us, including test scores, academic record, extracurricular activities, your personal essay and school recommendations from a counselor and a teacher. For transfer students, we consider your most recent academic performance. We also consider test scores, academic record, extracurricular activities, your personal essay and Dean of Students form. I’m a former Guilford student who wants to reapply. How do I do that? If you were enrolled at Guilford College and left for any reason other than to attend a Guilford-run or Guilford-affiliated study abroad program, you must apply for readmission. Go to this page to review deadlines and requirements and to complete the Application for Readmission form. I’m an international student. Who can address my questions and concerns? Please contact Terra Roane, Director of Multicultural Recruitment and Visit Experience, at roanetd@guilford.edu or by using our toll free number, 1.800.992.7759. She's available to assist your during the application process and until the time you arrive on campus.